Alexander Valley, almost as warm as Knights Valley. 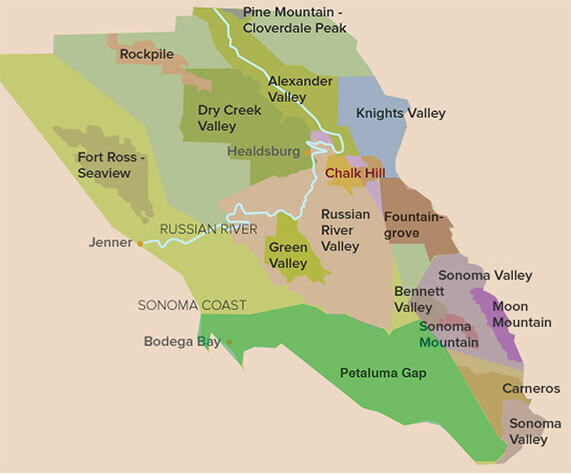 The valley floor of Alexander Valley has gravelly soil that produces some of the county’s richest Cabernet Sauvignon, along with flavorful, ripe Chardonnay. The Valley’s hillsides produce complex and concentrated Zinfandel, Merlot, and Cabernet Sauvignon.